Minnesota Republican Rep. Michele Bachmann on Tuesday reintroduced the "Light Bulb Freedom of Choice Act," a bill to repeal a 2007 law mandating that incandescent light bulbs be phased out. "The government has no business telling an individual what kind of light bulb to buy," she said in a news release Wednesday. "In 2007, Congress overstepped its bounds by mandating that only 'energy efficient' light bulbs may be sold after January 1, 2012. This mandate has sweeping effects on American families and businesses and needs serious consideration before taking effect." Bachmann says the mandate should only stay in place is (1) there is proof that alternate bulbs save consumers money, (2) there is proof that alternate bulbs significantly reduce carbon dioxide emissions and (3) that it's shown that alternate bulbs "would not lead to a health risk for consumers, particularly those in hospitals, schools, day care centers and nursing homes." The bill isn't the first "nanny state" critique to come from Bachmann, who saidwith regard to the IRS making breast pumps eligible for tax breaks: "To think that government has to go out and buy my breast pump - you want to talk about nanny state, I think we just got a new definition." 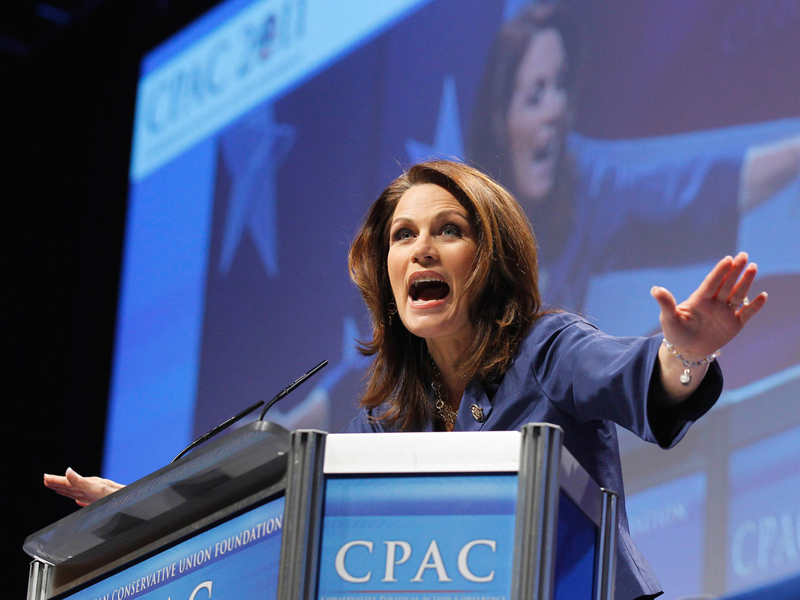 Bachmann, founder of the House Tea Party Caucus and a potential GOP presidential candidate, has also gone after Michelle Obama's campaign to reduce childhood obesity, which she casts as "very consistent with where the hard left is coming from." House Republicans have already taken advantage of their newfound power to dial back some of Democrats' environmental initiatives. This week, foam plastic coffee cups reappeared in Congressional cafeterias after a four year absence, the result of new Republican Speaker John Boehner moving to reverse much of former Democratic Speaker Nancy Pelosi's "Greening the Capitol" initiative. Pelosi had introduced compostable cups, forks and knives into the Congressional cafeterias, a cause of consternation for some customers who complained that the cutlery broke easily. She also introduced compact florescent lighting, healthier food and energy-efficient vending machines to the Capitol. The most controversial part of Pelosi's initiative was the decision to convert the last coal-powered power plant in Washington to cleaner burning fuel, which Boehner has not moved to reverse. The speaker has also not changed any of the anti-smoking rules that Pelosi instituted despite the fact that he is an unapologetic smoker.